WASHINGTON — Summer travel season soon begins, and Reagan National Airport makes the top 10 for worst airports for summertime travel arrival delays. But the margins are thin, and all three Washington-area airports score fairly well for getting you home from your trip on time. 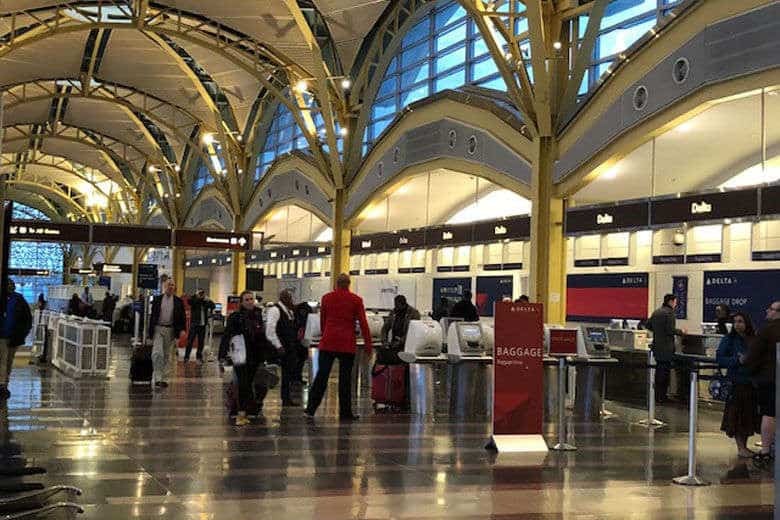 A MagnifyMoney report based on 10 years’ worth of Department of Transportation data, says Reagan National’s on-time summer travel arrival rate is 74.4 percent — roughly three out of four flights are getting to the gate on time. Dulles International’s 10-year average for summer arrivals comes in at 75.5 percent. BWI/Marshall’s 10-year summer on-time arrival average is 76.7 percent. But don’t blame the airports for late flights. That blame rests on the shoulders of the airlines themselves, and, aside from mechanical delays and flight crew scheduling, it’s not always the airlines’ fault either. “There is often nothing the airlines or airports can do about delays, because that is a function of the air traffic control system. And we’re operating under a system that is still radar-based, and it is antiquated,” Benet Wilson, with MagnifyMoney, told WTOP. And there are frequent weather delays. Delayed arrivals often mean delayed departures as well, leaving travelers with more time than they had planned to spend in the airport waiting for their flights. The Washington region’s three airports are high on the list of those who have been investing in making the airport experience, on-time or not, a more pleasant experience for travelers. “All three airports have robust free Wi-Fi, and all three airports have worked hard to invest in amenities like food and dining, reaching out to local chefs and restaurants for a more local, familiar feel,” Wilson said. Over the past three years, the Washington Metropolitan Airports Authority has added more than 120 new restaurants and retailers at Dulles and Reagan National, many of them with local flavor. Reagan National ranked No. 9 on J.D. Power’s 2017 North American Satisfaction list. BWI/Marshall ranked No. 11; Dulles, No. 13. The worst airports for summer delays, according to MagnifyMoney, are Newark-Liberty International, LaGuardia, San Francisco and JFK. The airports with the best track summer track record are Honolulu International and Salt Lake City.